Bountiful Harvest Plus is packed with phytonutrients sourced from some of the most nutrient-rich plant sources available today. 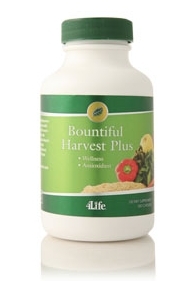 Unlike synthetically produced multivitamins, the whole food concentrates in Bountiful Harvest Plus provide nutrition in their biologically complex form. Vegetable greens are alkaline-forming, and help to balance a high acidic pH balance, as found in meats and processed food ingredients.